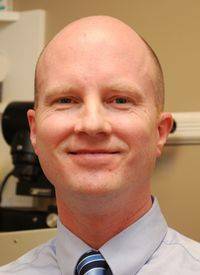 Dr Robert Grzesiak (aka Dr. G.) has been practicing optometry in his hometown on Long Island for almost 13 years. He received his Doctor of Optometry degree from The Pennsylvania College of Optometry in 1998 with clinical honors as an eye doctor. Prior to optometry school Dr. G earned his baccalaureate degree from Siena College in upstate New York. During his clinical eye exam training he was fortunate to extern at Bascom Palmer Eye Institute which has been rated the #1 eye hospital in the country as published in U.S. News & World Reports. Dr. Grzesiak volunteered on a humanitarian mission to Peten Region of Guatamala working as an eye doctor, performing eye examinations and serving the visual needs of thousands of underprivileged. You can see him at both our Huntington Station and Lake Grove eye care clinics.